The beginning of the Rotary Club of Hattiesburg came from two sources. The first was a letter dated December 29, 1917, from T. C. Hannah to his brother, a Jackson Rotarian, requesting assistance in getting a club started. The Second was the work of Howard S. Williams and V. M. Scanlan with the Secretary of the Meridian club Hilrie M. Quin. 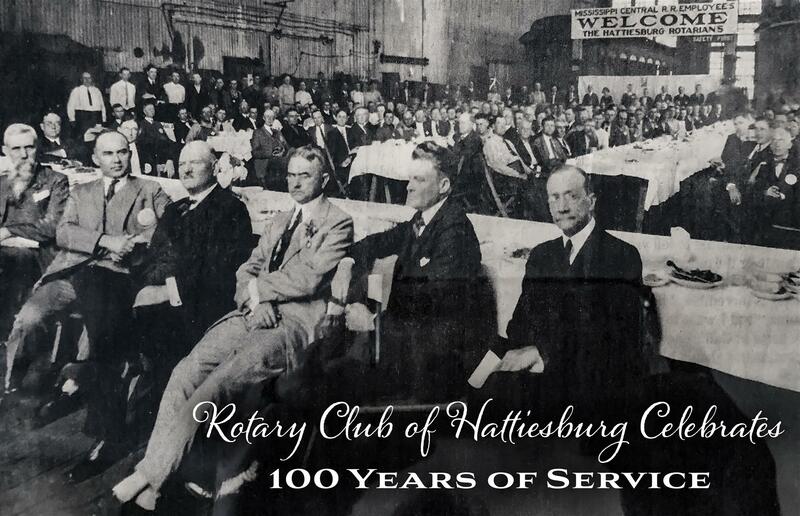 The Rotary Club of Hattiesburg in June 1920. 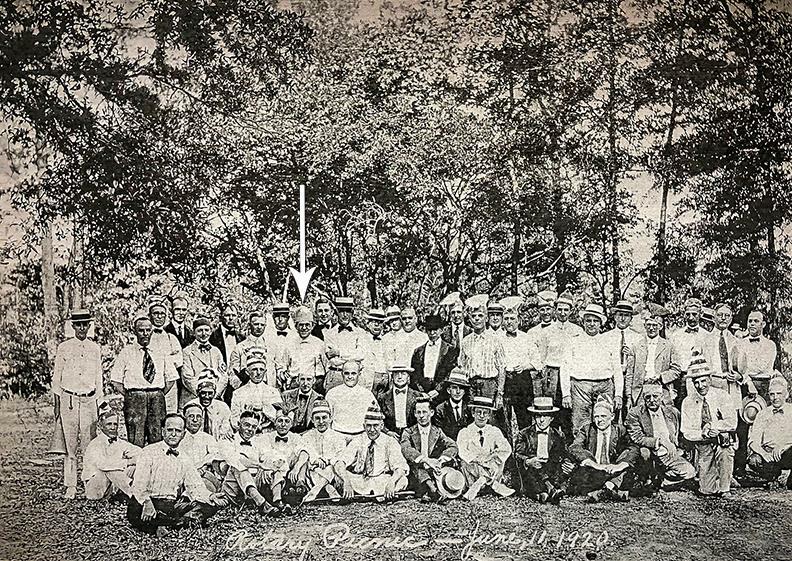 Arrow points to the club's Charter President, T. C. Hannah. A meeting was set for January 19, 1918, at the Commercial Club room with Hilrie Quin as Acting Deputy Governor of the 20th Rotary District and a special representative from Rotary International, Frank L Mulholland, Toledo, Ohio, who had served as the Fourth President of Rotary International (1914-1915). V. M. Scanlan was appointed the temporary chairman, January 25th was set for perfecting a permanent organization, and January 31 for installation of officers at which time visiting Rotarians from other cities and Camp Shelby were invited. Twenty-six business and professional men were listed as charter members. They included Howard S. Williams, newspaper; C.C. Hightower, physician; H.F. Wheeler, street rail-way; A. J. Crowe, bottler; R. K. Smith, Superintendent of railroad; W. G. Gillespie, wood industry; Vernon Baird, telephone; V. M. Scanlan, lumber manufacturer; F. B. Woodley, Superintendent of city schools; S. C. Irby, gas and electric lights; F. M. Foote, banker, T. C. Hanna, attorney; J. S. Conner, retail grocer; T. S. Jackson, Wholesale grocer; and J.F. Wilder, auto dealer. Also included were James Netz, abstractor; R. B. McLeod, wholesale lumber dealer; D. Emmett McInnis, agriculturist; M. D. King, fire insurance; T. B. Wright, dentist; R. J. McCaughey, dry goods merchant; J.E. Davidson, ladies ready to wear; J. A. Watkins, Federal sanitary inspector; I.V. Austin, cotton buyer; R. C. Hauenstein, cotton compress; C. T. Singleton, railroad freight agent. T. C. Hannah was elected as president, V.M. Scanlan as vice-president, James Netz as secretary-treasurer. The first directors were Hannah, Scanlan, Netz, R. K. Smith, J. F. Wilder, H.F. Wheeler, and H. S. Williams. The Rotary Club of Hattiesburg meeting with employees of the Mississippi Central Railroad in 1925. The application for membership into Rotary International was dated February 16, 1918. It declared that there were (1) 25 members at that time; (2) the population of Hattiesburg was 20,000 (a slight exaggeration); (3) 15 to 20 manufacturing plants in the city; (4) approximately 150 retail stores; (5) place of meetings, Kings Daughters Cafeteria (Old Methodist Hospital). The club was chartered by Rotary International March 1, 1918, as Club No. 366. Rotary was entering its 14th year. When the club observed it Golden Anniversary March 1, 1968, C. C. Hightower was the only charter member still living and a member of the club. The club celebrated its 75th anniversary on March 1, 1993, and is the second oldest of District 6840. No charter members were living. 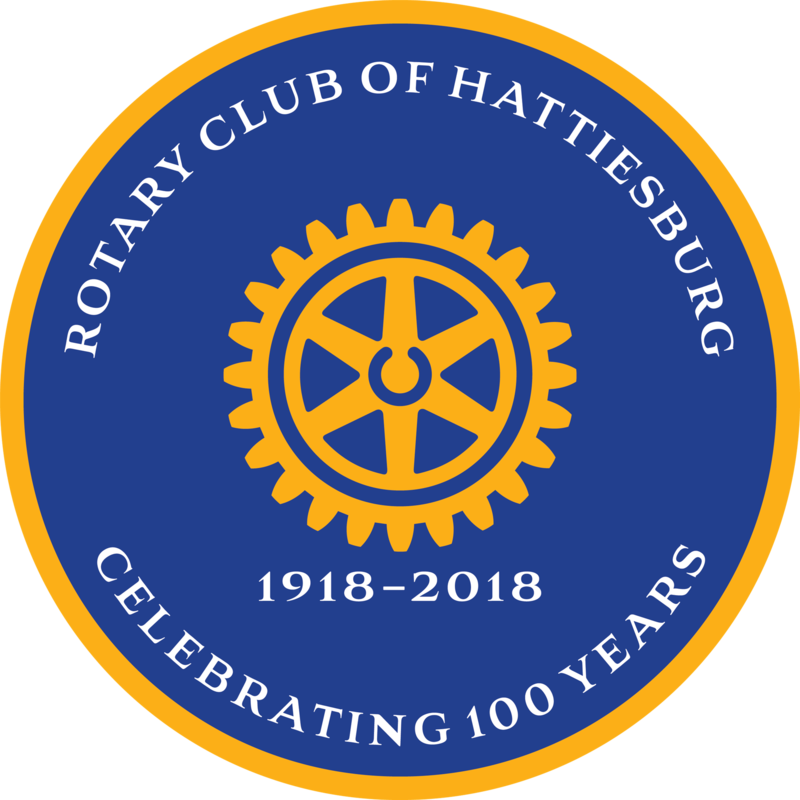 On March 1, 2018, the Rotary Club of Hattiesburg will celebrate its 100 Year Diamond Anniversary. Rotary International is now entering its 114th year and is comprised of over 31,000 clubs worldwide making it the largest service organization in the world. 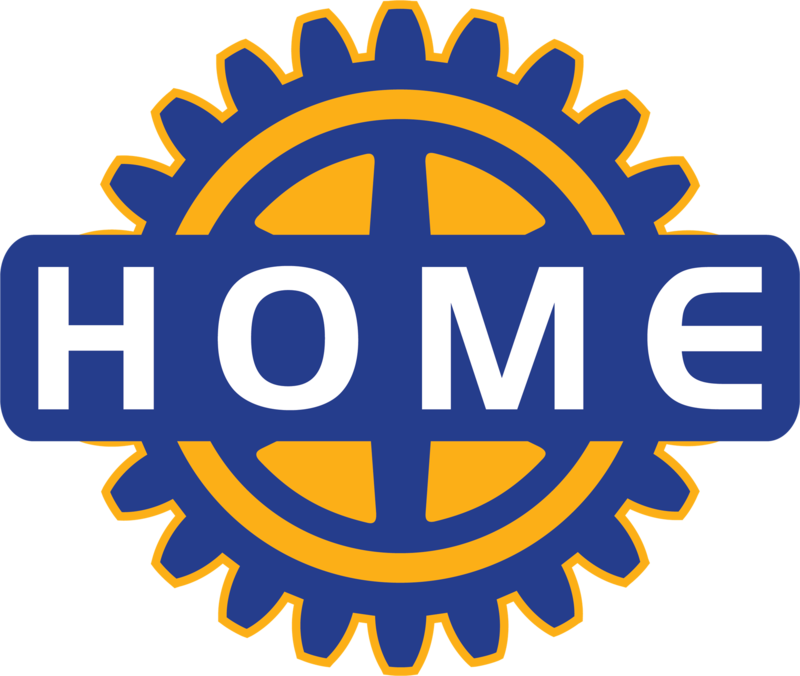 Rotary Club of Hattiesburg presently has over 90 active members engaged in projects which include, but are not limited to, education and literacy, hunger eradication, community improvement, clean water, and polio relief.